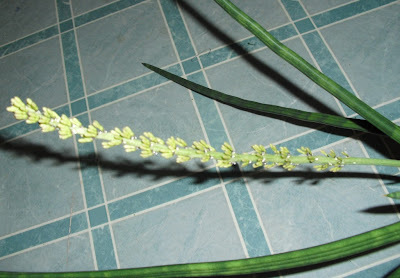 The last time I wrote about one of my Sansevieria, it was because my Sansevieria francisii had flowered without my knowing it, and all I had left as evidence was a spent flower stalk and two seed pods. 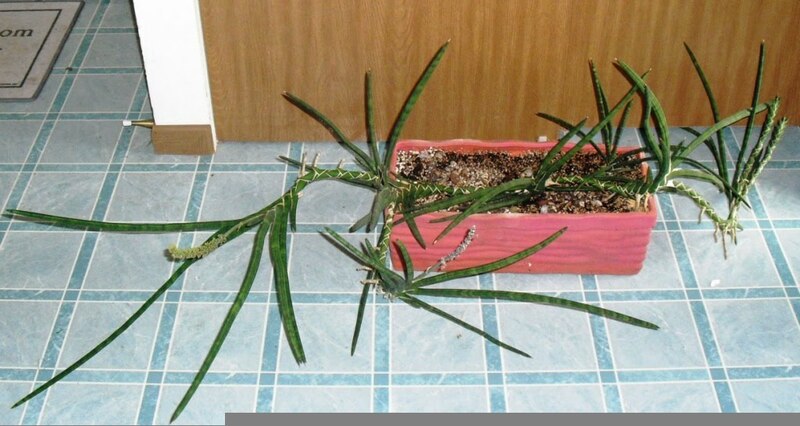 My Sanseveria hargesiana also flowered earlier this year, and I missed that as well. It is not that I'm unobservant; I just have a few succulent plants tucked in out-of-the-way places. I don't check on them daily, or even weekly, since they don't need water all that often. It isn't the best cultural practice, but that's what happens sometimes when you're a crazy plant lady. A sane person would know that if you can't check on them easily, you probably have too many. Ah well, sanity is not all it is cracked up to be. Sansevieria hargesiana flower stalk. The buds are not yet open, but they are getting close. 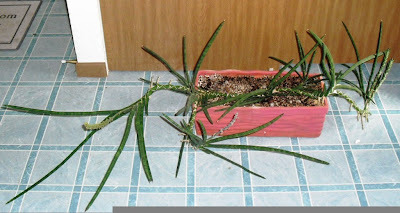 Picture of the whole plant, for reference. The leaves are a bit elongated, due to some time spent previously in a low light situation. It has been months since I've been able to get a good picture of my cats with any of my plants. 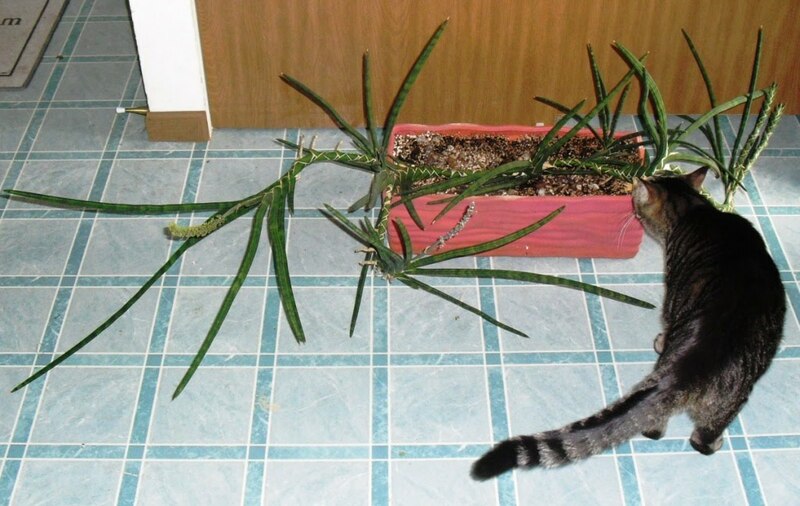 But when I put this plant on the floor in the hallway, so that I could photograph it, both of my little monsters had to check it out. 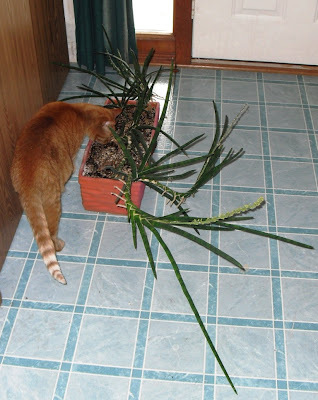 Having the cats in the pictures also gives a good idea of the size of this plant, which I've had for ten years or so. It's a big one. Kudos for catching the blooms this time! And yes, sanity is definitely not all it's craked up to be!! I'm itching to get all mine out of the greenhouse so I can check them out more often. I tend to ignore the when they're not close at hand. This S. hargesiana is soooo cool. I want one...a big one!!! LOL.